About six months ago, a good friend of mine discovered she was allergic to gluten. The second she told me I instantly felt what I’m sure she felt too: a tragic sense of loss. I had attempted a wheat-free, sugar-free diet myself about a year earlier, so I knew how hard it was going to be. And as an avid food lover (which my friend is), it was awful to find out she could no longer eat a whole host of tasty foods. But, unfortunately, gluten is in everything these days! Aside from the obvious breads, pastas and baked goods, it’s in sauces, salad dressings, processed meat products, and countless other things. It’s so difficult to avoid that it makes buying pre-made, packaged or even restaurant food a very frustrating experience. Yet, what I quickly learned while on my diet – after a week or so of boring meals – is that you just have to readjust how you think about your food, and get creative instead! Make pizza crust out of mashed potatoes, design recipes for your own sauces and salad dressings, and bake breads with different styles of flour (like those made from rice, kamut, almond, potato or tapioca). Once you get into the swing of it each day gets easier and easier, and now my friend is happily dining on delicious meals every night! 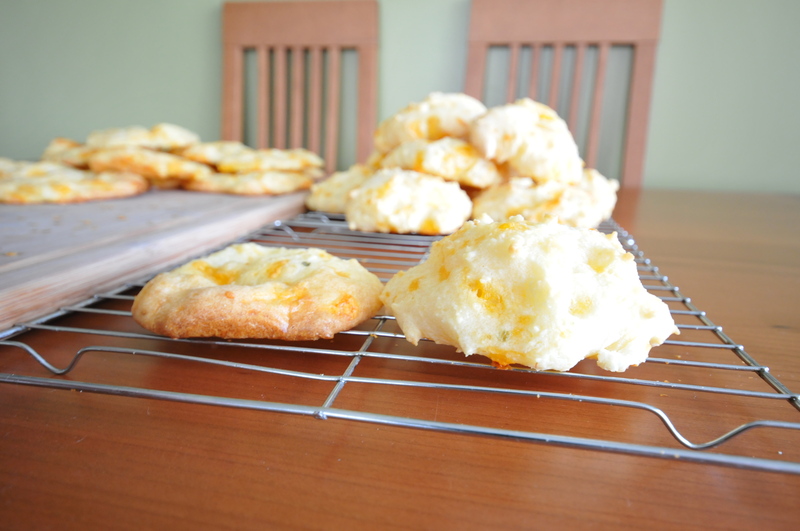 Brazilian Cheese Bread is a recipe I learned from her, after she made some for my husband and I earlier this summer. After our first bite, we instantly fell in love! The bread is made with tapioca flour, which gives the baked dough a wonderfully sticky, chewy texture. Combined with a pinch of salt and grated, cheddar cheese, this was the best bread we’d ever been served before! 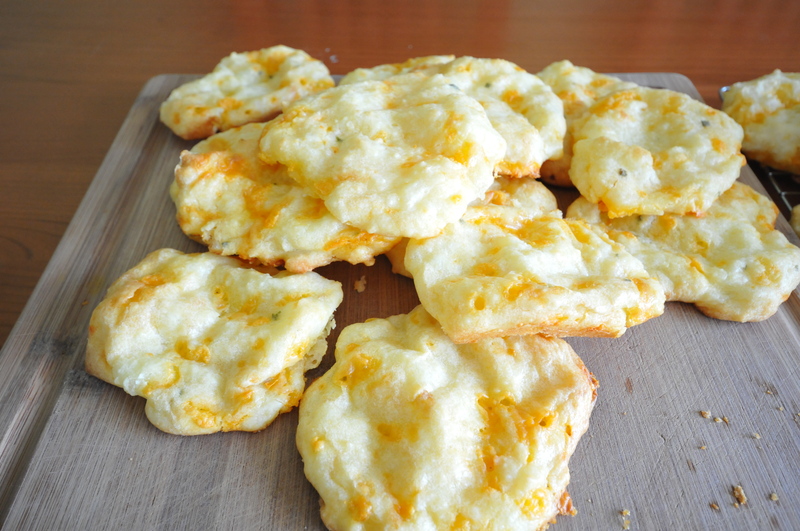 AllRecipes.com has a wonderful recipe for Brazilian Cheese Bread that I’ve made many times since my first encounter that night. Each time I’ve served it, guests have gobbled it up, and commented, without fail, on the deliciously gooey texture. If you want to impress your friends, regardless of a gluten-allergy or not, this recipe is definitely a winner. If you don’t have any parmesan cheese you can use cheddar or mozzarella (or both) instead. I also usually increase the garlic and add some chive flakes, for colour. I usually double this recipe, because otherwise the buns disappear too fast! When doubling, take extra care to make sure you measure the flour correctly. I had a little mishap myself between batches last time. See the difference that one extra half-cup of tapioca flour makes?! Oops! Remember to measure carefully. But even still, the buns were immensely satisfying, and were completely devoured before the end of the night!